One of the most legendary full-bodied cigars in the world, this little Robusto is bold, rich and sweet. It uses exclusively-aged Honduran Maduro tobacco for its blend. It is strong yet smooth and boasts flavors of earth, spice, and a hint of dark sweetness. 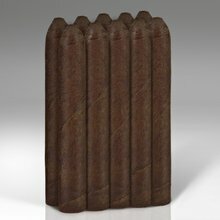 See why this is one of the most sought after full body cigars on the market. Packaged in singles.